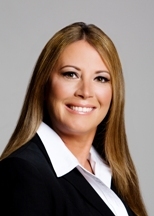 Lisa Marie Vari, founder of the firm, has focused her legal efforts in the family law field for over twenty years. Ms. Vari started her legal career working with members of the Pennsylvania judiciary. From 1993 until 1995, she was a Judicial Law Clerk/Staff Attorney for the Honorable Judge Max Baer when he was the Administrative Judge of Adult and Juvenile Sections of the Family Division, Court of Common Pleas of Allegheny County, Pennsylvania. In that capacity, Ms. Vari was able to expand her research and writing skills and gained hands on experience in the family law area. In this capacity, she was occasionally assigned to act as a Support Hearing Officer as well as a Juvenile Delinquency Hearing Officer. The opportunity to observe and assist Judge Baer with trials and pre-trial conferences provided her with insight to the inner workings of the judiciary. In November of 2003, Judge Max Baer was elected a Justice of the Pennsylvania Supreme Court. Prior to her employment with Judge Baer, Attorney Vari had the privilege of interning with the late Honorable Justice Ralph Cappy of the Pennsylvania Supreme Court where she spent many hours in the law library researching issues and writing draft opinions for Justice Cappy.